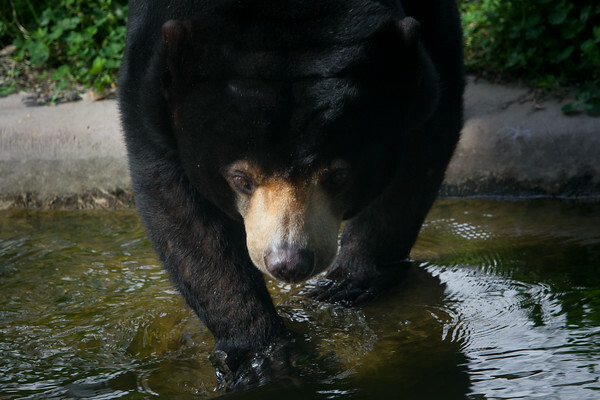 Otay is one of Free the Bears' ambassadors, raising awareness about the plight her species. Otay was rescued by Free the Bears in Cambodia and now spends her time in the trees or the river in her incredible habitat at Canberra zoo. The National Zoo, Canberra, Australia - Aug 2014.